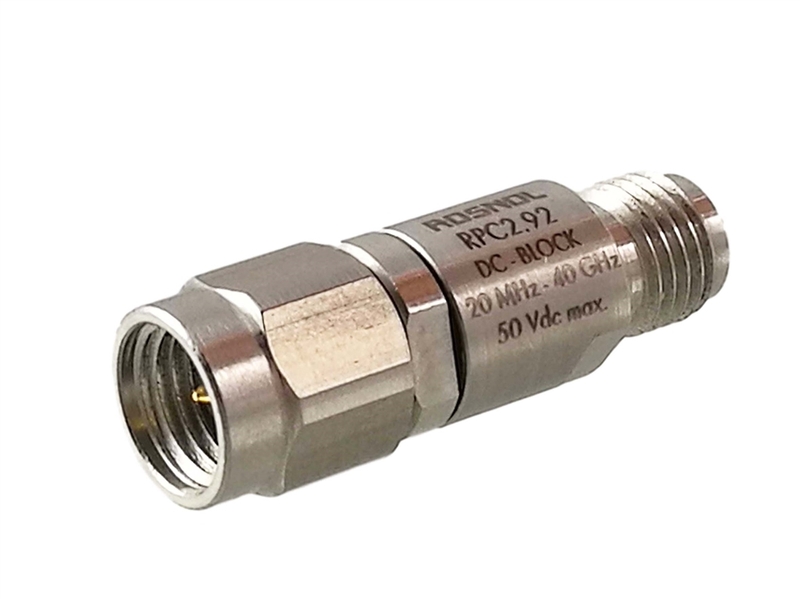 March 15, 2017 - ROSNOL DC BLOCK DB-K1K25A-40G50V/9XX-9X covers the range 20 MHz-40 GHz, while our complete line of dc blocks cover frequency ranges up to 40 GHz. ROSNOL DC blocks produce a flat frequency response VSWR 1.20:1. DC input voltage is rated at 50 Vdc max. Operating temperature range is -40 To +85ºC. Any ROSNOL model can be customized to suit your specific performance or package requirements at little to no extra cost. ROSNOL is ISO-9001 certified and RoHS compliance is standard.